A super strength blend of powerful polar and non polar solvents for removing tough oily soils, grease and paints. 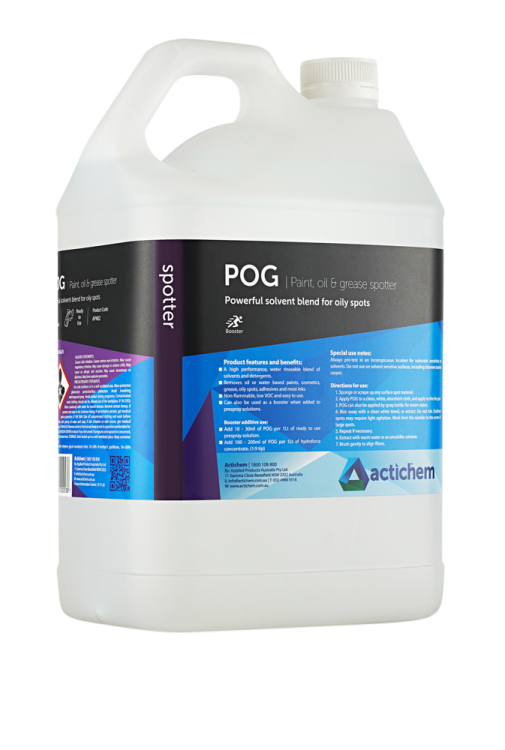 Actichem’s AP482 ACTICHEM POG is a super strength blend of powerful polar and non-polar solvents for removing tough oily soils, grease and paints. Also formulated for use as an effective cleaning booster in pre-spray solution for heavily soiled carpets.